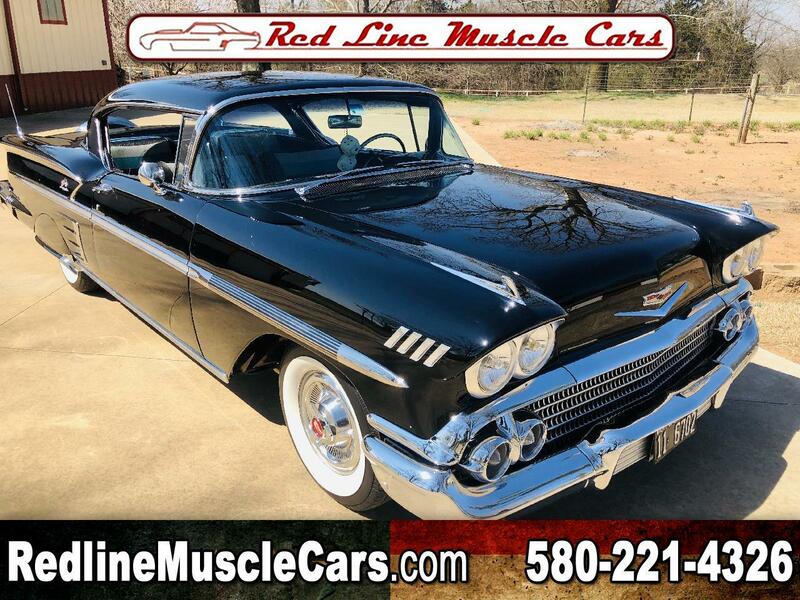 Used 1958 Chevrolet Impala hard top for Sale in Wilson OK 73463 Red Line Auto Sports Inc.
Red Line Auto Sports Inc.
a question about this vehicle answered. in contact with you shortly. 1958 Chevrolet Impala Hard Top 348 Tri Power 700R4 4 speed Auto Transmission March Serpentine Pulley system. Edlebrock Aluminum finned valve covers and Tri power finned open air element MSD Digital 6AL Electronic Ignition. Front and Rear Anti Sway Bars Rack n Pinion steering Ciadellas Black and Gray high quality custom stitch Interior. Dakota Digital Factory Look Gauges Custom Autosound Stereo cruise control. Braided power steering hoses Braided fuel line hoses Paint is a deep high gloss Tuxedo Black that is as deep as the ocean. Sleek 50s Body styling with the highest quality chrome exterior, polished stainless moldings. 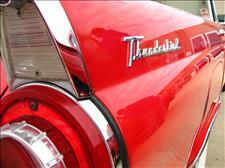 The original exterior body trim and molding have all been re-chromed or polished and are NOT re-manufactured. Some is showing some very small pitting but over all is very show worthy. The Continental Kit was a rare option on these cars. This one has been added. Only the best parts were used to rebuild this Impala. 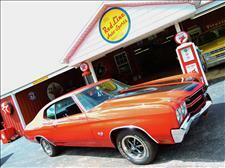 This car was meticulously restored over a 3 year period and highly maintained the last 13 years. Nothing but the best went into this car. This car has one over 12 best of Shows and is simply the best of the best. The 1958 Impala is one of the most popular GM cars ever designed and produced. The one year body style makes this car a very rare and desirable vehicle to own and invest in. This One of a Kind Impala rides down the road like a Dream, handles extremely nice for a big car. 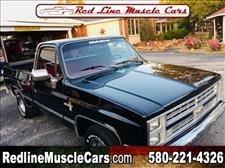 Comfortable and dependable driven 8700 miles in 13 years of cruising and car shows. If you’ve been looking for a singular opportunity to own a rare piece of Americana Detroit Steel to drive and enjoy then you’ve found it. WE SELDOM TAKE TRADES. If it’s local 2 close by please send photos of your trade, detailed information about your trade and the price you're looking to get for your trade. All vehicles older than 10 years are sold as "mileage exempt", true miles unknown.by state law. Visit Red Line Muscle Cars online at www.redlinemusclecars.com to see more pictures of this vehicle or call us at 580-221-4326 today to schedule your test drive. Mileage on any and every vehicle in our inventory more than 10 years old or older is exempt according to Oklahoma State Law, Odometer reading may or may not reflect actual mileage - "sold as is where is Mileage exempt"
Red Line Auto Sports inc. is a family run business, owned by Fred and Kim Murfin Since 1996, we pride ourselves in offering Classic cars that are clean, Good driver quality Classic cars that you will still need to work on and maintain and be proud to own and kool project cars that need work. With over 20 years of Classic and Muscle Car experience and enthusiasm for this GREAT Past Time, Fred and Kim will personally assist you in finding your next Classic or Muscle car. 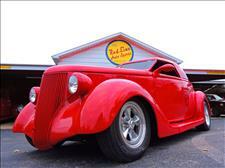 Red Line Auto Sports is a small town Classic car dealership. 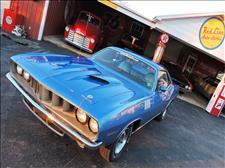 We keep a nice selection of Driver Quality 60s & 70s Collector and Muscle Cars. The fun to drive, muscle cars that the average working person can afford, a car with a good to ok paint that probably won't have the original motor and that's OK. Usually our customer wants to replace the car that they had in high school, and like most of us, they sold to get a family car. We want your business and look forward to meeting and exceeding your expectations. All vehicles are sold As Is/Where Is with No Warranty. We have Inspected the vehicle and while We find no problem today unless stated in the ad, The only guarantee is that these are used cars and they will break. WE ARE LICENSED OKLAHOMA DEALERS AND WE ARE HIGHLY REGARDED EBAY SELLERS WITH A 100% CUSTOMER SATISFACTION EBAY RATING. Redline is located just outside of Ardmore, OK. We are easy to get to. We are located 10 miles West of Ardmore, Oklahoma and I-35 between Dallas, TX and Oklahoma City, OK. exit 31B/hwy 70 West 10 miles to Red Line Auto Sports. Come to the country and $ave. We hope to see you soon. Call us 800 580 9299 Fred and Kim Murfin www.RedLineAutoSports.com. It is the customer's sole responsibility to verify the existence and condition of any equipment listed. The dealership is not responsible for misprints on prices or equipment. It is the customer's sole responsibility to verify the accuracy of the vehicles description and prices with the dealer. Pricing subject to change without notice. purchaser acknowledges that he or she has had an opportunity to inspect the vehicle and/or sent a third party to inspect the vehicle, or has opted not to inspect the vehicle and in any case is satisfied with the current condition of the vehicle, and agrees to accept it for the negotiated price "AS IS / WHERE IS ",with any & all faults and/or flaws. In connection with the described vehicle, seller expressly disclaims any and all warranties,either expressed or implied, including but not limited to, any implied warranty of merchantability or fitness for a particular purpose.  Seller neither assumes nor authorizes any other person to assume for seller any liability in connection with the sale of the described vehicle, vehicle is sold "AS IS / WHERE IS ", Red Line Auto Sports is a licensed Oklahoma Used Car Dealer. All parties agree that this vehicle is sold in Lone Grove, Oklahoma, Carter County and that Only Oklahoma laws pertain to this document. Any Legal actions shall be brought in Carter County court only. The same applies to our websites, www.redlineautosports.com and www.redlinemusclecars.com although they maybe viewed all over the world all parties agree that they are maintained in Oklahoma and only Oklahoma laws apply. This agreement is legal and binding after it is signed by the purchaser and only after Red Line Auto Sports accepts this agreement. Red Line Auto Sports purchases its inventory from private individuals, other licensed dealers, and from auctions. All vehicles were purchased in "AS-IS" condition and shall be sold "AS-IS" as per the terms presented and signed at the time of sale. We cannot and do not represent 100% authenticity, unless it is available. We can only pass along what we are told when we buy the car. We are always happy to show our customers the engine casting numbers, VIN numbers, trim tag, engine block stamping, and transmission and rear end code stampings. We DO NOT GUARANTEE that any part or component is in fact the original or that it is correct for this car. "Numbers Matching" means "Some Numbers May be Matching Now". There is ALWAYS the possibility of re stamped motors, Transmissions & rear ends and as technology improves there will probably be even more. We cannot guarantee the originality of this vehicle or any part on this vehicle, including, but not limited to the engine, transmission, rear end housing, "matching numbers" color changes, data tag, the frame or any documentation. The entire risk as to the originality and the inspection of this vehicle before purchase is up to YOU - the Buyer. Red Line Auto Sports inc. assumes no responsibility or liability for any typographical error that might be found in any of our advertising, including any and all Internet sites. This shall include any and all errors made in the description, color, price, or equipment listed for all vehicles being advertised for sale by Red Line Auto Sports . THESE ARE USED CARS OR PROJECT CARS THEY ALL NEED WORK OF SOMEKIND. Thank You. 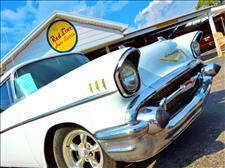 Message: Thought you might be interested in this 1958 Chevrolet Impala. ???? ?We had a great shopping and buying experience. Fred and Kim were great to do business with. ???? ?Good honest car people, always has nice cars & trucks. Great people to work with. 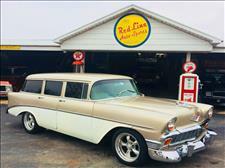 Thank You Kelly for the kind words and the many experiences buying and selling classic cars. I'm proud to call you friend and I thank you for your 5 star review. Our reputation is everything in Todays market place and were thrilled that you are a part of our success. We've been in business over 20 years. 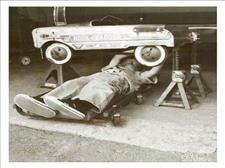 We strive to put out a Good product and to make sure that our customers are satisfied with their Classic car. ???? ?Redline has been restoration savy for many years and has great services to offer the public as well as excellent classical restorations for sale. Mustang, Cuda or just a Impala to show or for the sake of investment, this is the place to be. Thank You Ted for the kind words and your support through out the years. ????? I Have done business with Fred many times , always been honest and forthcoming . He has sold a lot of classic's for me , no problems whatsoever. Thank You Gary for the kind words and allowing us to help you sell several classic cars through the years. ???? ?I've known Fred for 20 years just through buyin Hot rods and Classics. Fred is very honest straight shooting, fun to work with and a great guys to know. Thank You Lee for the kind words and the years of collaboration in our great classic car hobby. a 1970 RT Charger 440 4 speed, 1971 B5 blue Cuda, 2 1973 orange Cudas, 1969 number matching RS SS Camaro. I'm proud to call you friend and I thank you for your 5 star review. I have known Fred for more than 4 years and I have found him to be honest and trustworthy and a man of his word. We have participated in several cars over this time and absolutely no problems at all. Thank You Jim for the kind words. I'm proud to call you friend and I thank you for your 5 star review. Red Line Auto Sports is my favorite classic car outlet. The inventory is always high quality and there are no let downs. Fred is honest and respected in the classic car world. I can definitely recommend to others. Thank You Aaron for your kind Review of our business. Were proud that you enjoyed your experience with us. Our reputation is everything in Todays market place. We strive to put out a Great product and to make sure that our customers are very satisfied. Fred and Kim are awesome people to deal with and will treat you right. You will be pleased with their service and the products they provide! Thank You Robert for your kind Review of our business. I've bought several cars from Fred and I've recommended him to several of my friends. He has always been very helpful and straightforward. 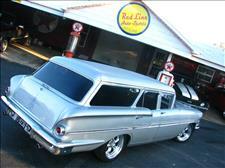 Anyone looking for a classic car, I would recommend Redline Auto. Ignore minor complaints and resolve issues privately when possible. Address issues constructively. Don't use responses to advertise. Do not ask users for anything or offer them anything. Be professional and polite. The world can read your response.